With the busy holiday season, I haven’t had a chance to show you this bag that I made for Brittany in Wichita Falls, Texas. She was looking for the perfect tote and wanted it to last for a long time. 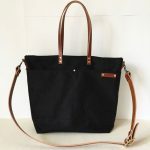 Brittany wanted a strong large tote that she could use daily to carry a laptop, 2 water bottles, a clutch, her lunch, etc. She described to me how she wanted the bag to look and the details. I really like this tote and more importantly, she likes it! 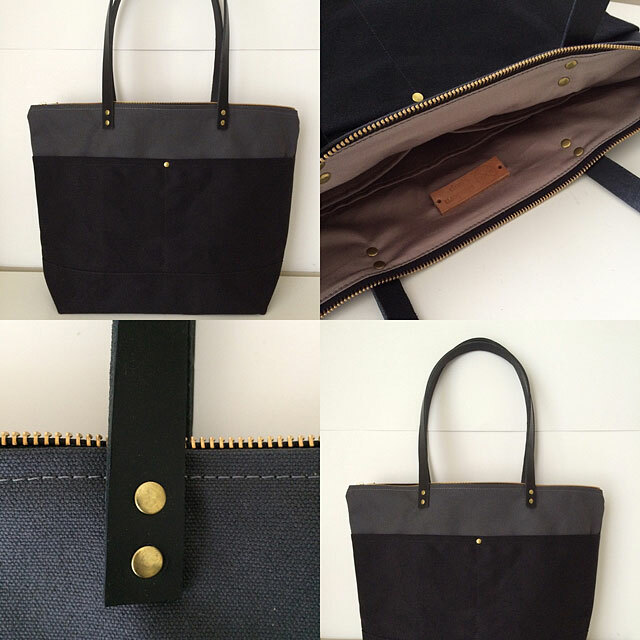 Her colour choices and the addition of the front pockets with the rivet, makes this bag really unique and cool looking. The size is good to carry a lot of different things, including a 15″ laptop. 2 Front Pockets: These 2 large pockets were added. Brittany wanted them to be black with a rivet in the centre for durability. Inside Pockets: 5 pockets, rather than 4. There are 2 water bottle pockets, 1 large pocket and 2 medium sized ones. 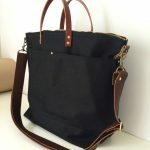 This large size Zipper Tote is only available through custom order. Please contact me at cathy[at]moderncoup.com or through my Etsy Shop if you’re interested in a similar bag handmade for you. Due to the busy holiday season, custom orders will not commence again until the New Year, 2016. You can still contact me to discuss what you would like, but work on the order will begin in January. Thanks. 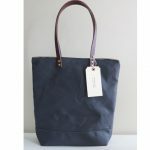 The Medium Size Zipper Totes in the shop are ready to ship in 1-3 business days, if you’re looking for an in stock bag.